The Salem Red Sox have made a habit of winning the close game early in the 2016 season andSaturday night was no different as they knocked off the Myrtle Beach Pelicans, 4-3, at TicketReturn.com Field at Pelicans Ballpark. Salem (15-8) earned its eighth one-run win of the season thanks to an early lead and some add-on tallies late. In the first inning, Danny Mars sliced an RBI single to left field that scored Mauricio Dubon, giving the Sox a 1-0 edge. Travis Lakins took the cushion and cruised with it, ceding only a two-out run in the last of the third that tied the game. Lakins (3-1) authored his first quality start as a professional, giving up a run on two hits in six superb innings. He walked two, struck out four and retired the final 10 batters he faced. Overall, Lakins faced just three hitters over the minimum. Meanwhile, the Red Sox were finally able to get to Myrtle Beach starter Erick Leal in the sixth inning. The first three hitters reached on base hits, culminating in an RBI single from Rafeal Devers that scored Nick Longhi. Leal (2-2) was replaced by Jose Rosario, who gave up an RBI double to Ben Moore and an RBI single to Deiner Lopez, pushing Salem ahead 4-1. Myrtle Beach (11-11) scored twice in the last of the seventh inning against Salem reliever Ben Taylor. However, Taylor was able to strand the tying run at second and then retire the side in order in the eighth. Jake Drehoff came in for the ninth and tossed a perfect frame for his fourth save of the year. Andrew Benintendi extended his MiLB-leading hitting streak to 19 games thanks to a single in the seventh inning. The stretch matches the longest in Salem Red Sox history. Meanwhile, Yoan Moncada saw his season-opening 20-game on-base streak come to an end as he went 0-for-5. Salem will look for the series sweep on Sunday at 5:05 p.m. Jalen Beeks (2-1, 2.25) will make his fifth start of the year for the Red Sox against the Pelicans’ Jake Stinnett (2-0, 2.55). 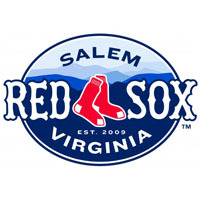 Fans can follow along with all the action on the Salem Red Sox Baseball Network, starting with pregame coverage at 6:45.